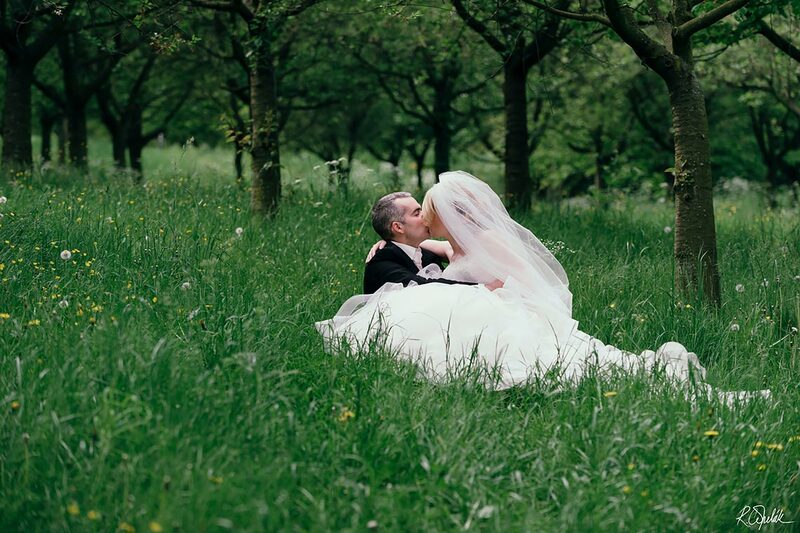 The 1st of May celebrations were filled with couples exchanging romantic kisses under the blooming trees; a tradition of Czech people during this public holiday. Having this romantic day just before the wedding of Andrea and Antoine helped to create a truly magical vibe in the lead up to their big day. The weather was quite crisp but it was fortunate that we did not encounter any rain. The atmosphere surrounding the wedding was pure and untouched, where from the early hours of the morning all the way through the day the mood was vibrant and cheerful. From where the bridal party prepared for the ceremony, after lunch we moved to the church to witness the wedding at the beautiful church of St Petr and Paul in Vysehrad. When the ceremony drew to a close and congratulations were avidly passed to the newly-weds, we moved to the banquet hall in Zofin for the reception. The hall was without flaw, shining in its own vibrance and well-prepped for the arrival of Andrea and Antoine. After the banquet was when the real fun started, which continued on all night until the early hours of the following morning. During the crazy celebration, the wedding couple had several items prepared on the agenda, including using two different languages throughout the reception to ensure the entire audience's full attention and pleasure. This, you can imagine, is never an easy task. As the reception was held until very late, after one day of resting I then accompanied Andrea and Antoine to Petrin to capture their bridal couple portraits. Petrin, in its strategic location surrounded by lush nature and astonishing views of historical central Prague, was the perfect location to capture the romantic atmosphere brought on by the recent exchanging of vows. It was an absolute honour for me to capture this wedding day and to meet this many wonderful people.